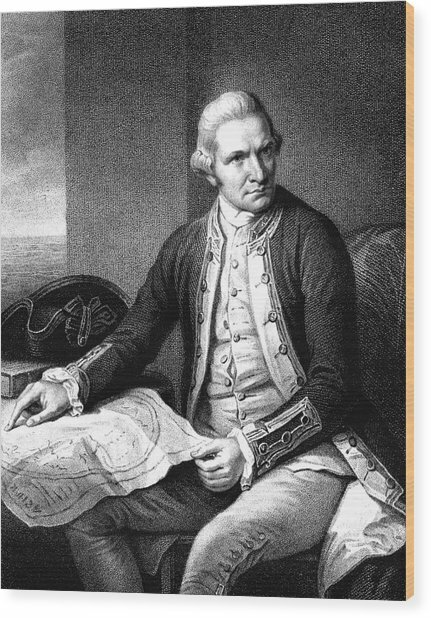 Captain James Cook is a photograph by Collection Abecasis which was uploaded on July 24th, 2016. 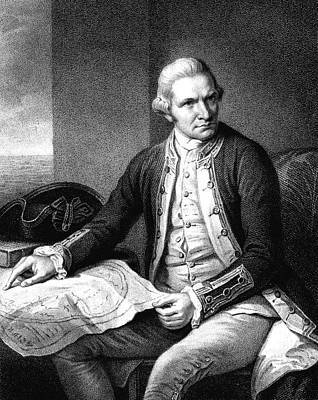 Captain James Cook (1728-1779). 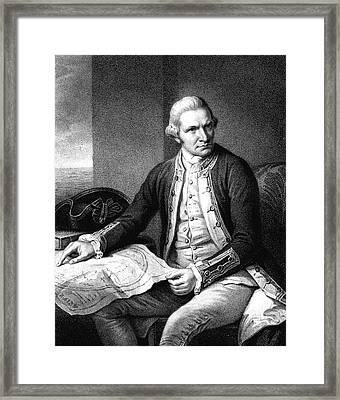 1854 illustration of the British explorer James Cook. After joining the Royal Navy, Cook undertook his first major voyage from 1768-71, accurately mapping New Zealand's coastline and making the first European landing in east Australia. 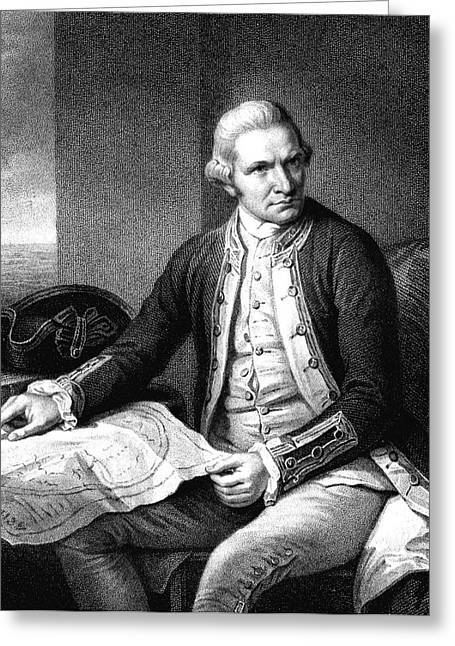 During the period 1772-75 he crossed the Antarctic Circle for the first time. Further travel south was halted by sea ice. In his third voyage from 1776-79, more sea ice would prevent him from finding the Northwest passage around Canada. 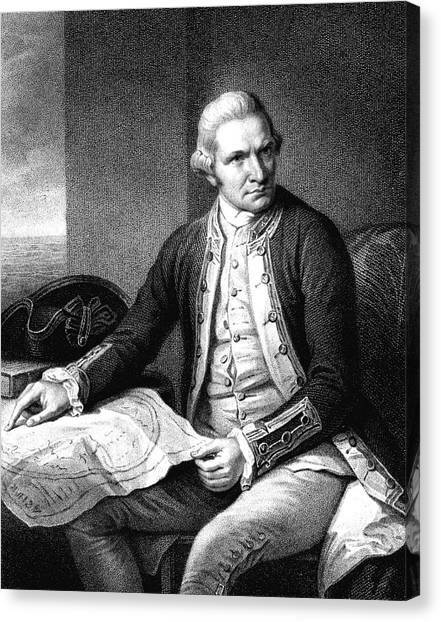 He turned back to the Hawaiian islands that he had just charted, where he was killed in a dispute with a group of islanders. 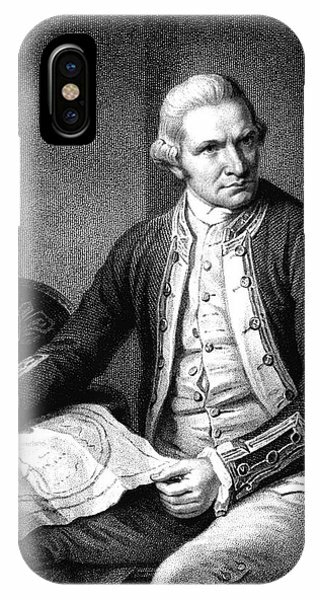 There are no comments for Captain James Cook. Click here to post the first comment.